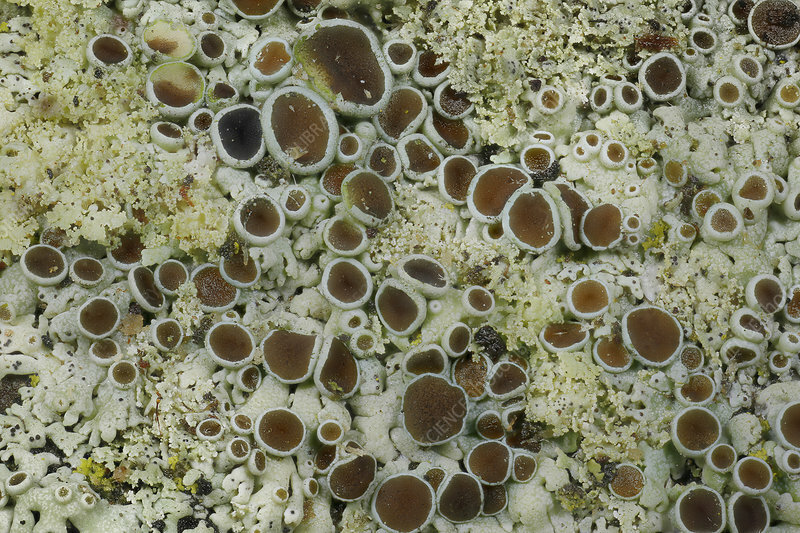 The grey lichen Physcia tenella is photographed at 3x magnification. The field of view for this image is 10 mm. This is a common lichen found growing on tree branches. Photographed in New York State.